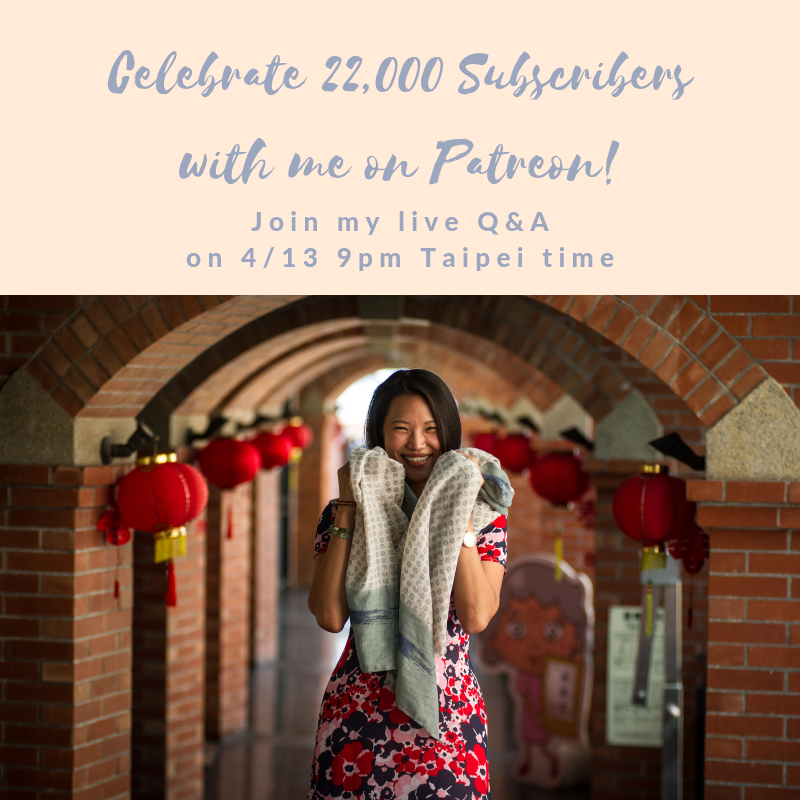 Celebrate 22k subscribers with me at live Q&A on Saturday! Woohoo! 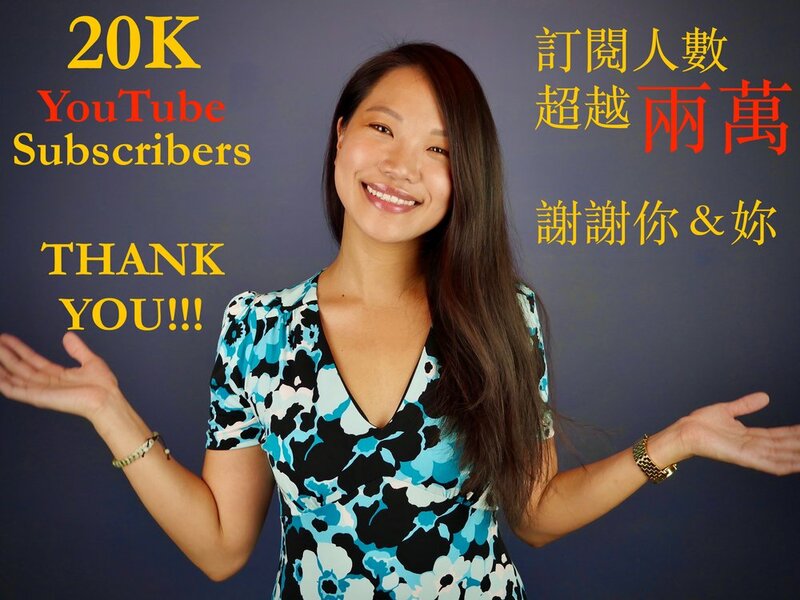 🎉 PeggyTeachesChinese has reached over 22K subscribers on YouTube! Thank you so much for your support and believing in my teaching and creative work. I have worked so hard to get here. There is no other way to express my joy and gratitude for this accomplishment. I hope to share this milestone with you during this Saturday's live Q&A. I will also be answering your questions and sharing some common grammatical mistakes learners often make in Chinese. I was a 19-year-old college student studying English in Taiwan when I created PeggyTeachesChinese back in February 2009. It's been a long path...finishing college, going abroad to teach Chinese, getting a Master's degree to now building this brand full time. I am deeply grateful that I have been able to do what I love in the past 10 years...and to continue to move forward with it. I have become a much more skilled teacher and content creator. I thank all my patrons, supporters and students for walking this path with me and believing in what I am building. Without you, PeggyTeachesChinese could not have grown so much! I was invited to speak about PeggyTeachesChinese and my new Traveling Taiwan Series on Taiwan News. Many thanks to Keoni and Taiwan News for having me! What a day to celebrate and to be grateful! My YouTube channel has reached 20K SUBSCRIBERS!!! THANK YOU FOR THE SUPPORT!!! The Wait Is Over! New videos are now live on my YouTube channel. I can't believe that it has been over one year since I last published a new lesson. I am extremely excited to return to making videos again! I am grateful to my family, friends, students and followers' support. Your support means a lot to me and has made all the difference. My sincere gratitude goes to Kevin Corrigan. I could not have felt comfortable and confident enough to implement, completely and freely, the project of relaunching PeggyTeachesChinese if it was not for him. The first lesson series available is called "Popular Chinese Slang." More series are coming up...make sure you stay tuned! First and foremost, I finally completed my graduate studies! In other words, I now hold a master's degree in Chinese as a Second Language from National Taiwan Normal University. With this degree in hand, I must put my hard-earned knowledge into practice in order to improve on my teaching skills. This intention leads to the second piece of great news. As of August 2017, I will be teaching Chinese an Adjunct Lecturer at Department of East Asian Languages and Cultures at Wake Forest University in the United States. This experience will certainly enhance the quality of my teaching, especially, in a classroom setting. Without a doubt, I will continue to develop PeggyTeachesChinese during this year. The online tutorial lessons and the production of my YouTube videos will remain in operation. So please stay connected with me on here and social media! Welcome to PeggyTeachesChinese's new official website! I am so pleased that I finally upgraded my page to a more professional and engaging platform. This website offers free Chinese lessons on YouTube and professional tutorial service. Subscribe to my YouTube channel and get notifications when a new video is uploaded or sign up your first Chinese tutorial session with me. If you are interested in the casual updates of my personal life, please follow me on Social Media (the links are located in the bottom of my site). I want to thank you for all the support. You are the inspiration, motivation and the reason for the continuing success of PeggyTeachesChinese.